Objective : Given a 2D matrix of characters. 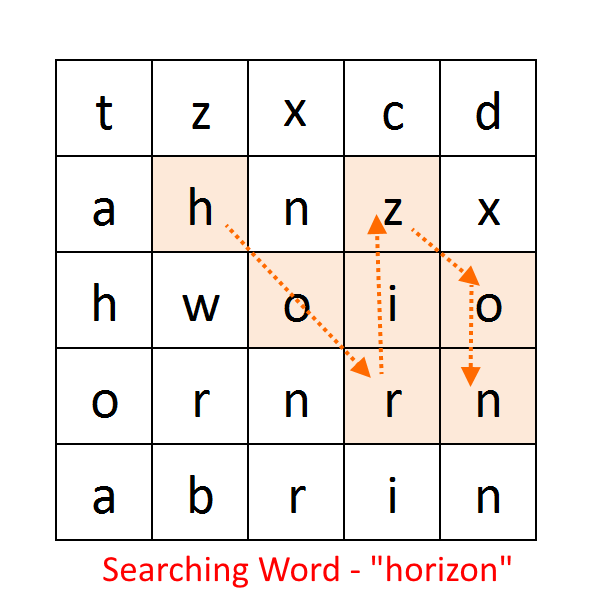 Check whether the word exist in the matrix or not. If it exists then print its path. All movements are allowed (right, left, up, down and diagonally). Create a solution matrix of the same structure as Matrix. Try each cell a starting point. Check current cell is not already used and character in it matches with the character in the word at index (starts will 0). Check if index = length of the word, means we have found the word. return true and print the solution matrix. If above criteria matches, mark that cell with a number Whenever any cell matches with the criteria, put a number corresponding to it in solution matrix. (start with 0 and keep incrementing it, it will show us the path for the word). 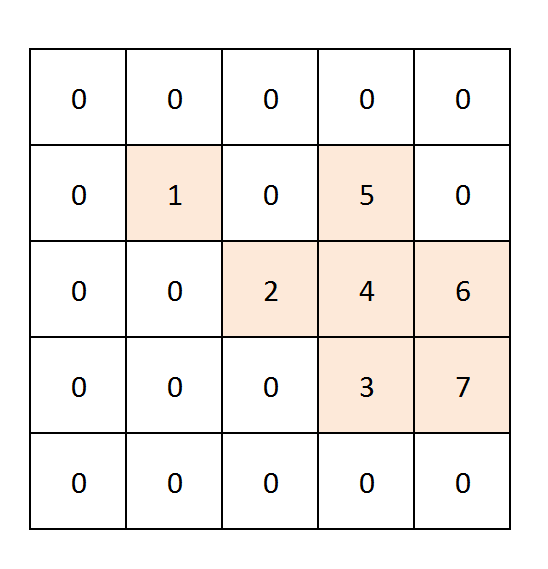 If none of the 8 recursive calls return true, BACKTRACK and undo the changes ( put 0 to corresponding cell in solution matrix) and return false. 244 queries in 0.165 seconds.